I love something different in nail polish collections. I love gold toppers too. Zoya's Maria-Luisa was an awesome surprise for me in their recent fall collection. This is a gold topper that is unlike anything I own, it's so cool and different. 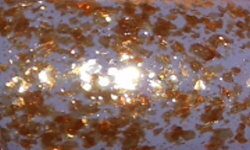 Maria-Luisa are gold semi-translucent flakes in a clear base. Color: Amazing! This is not your standard gold opaque flakes, gold shreds, or gold glitter. The flakes in Maria-Luisa have some translucence. These flakes really give an unique antiqued look to the base polish. This so so interesting!!! Formula: Great formula. The formula was easy to use and applied nicely. 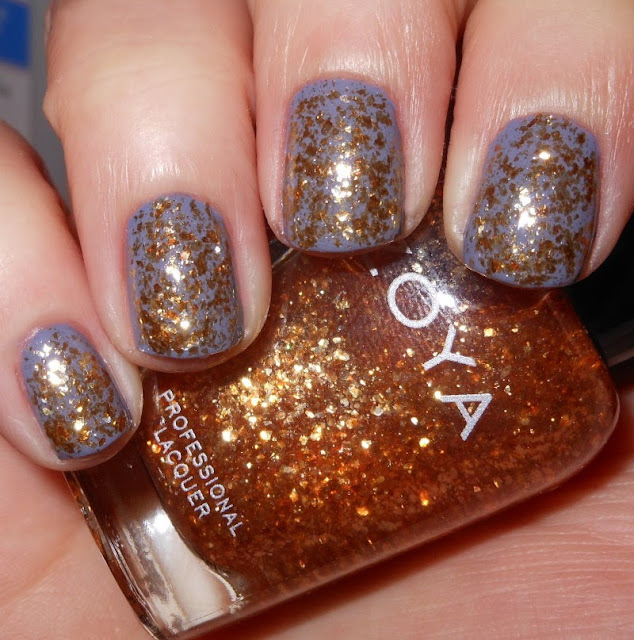 Price: This is $9.00 on the Zoya website. Overall: You need this. I think this is one of the coolest polishes I've come across this year. This all means I'm calling it a must have and adding it as a contender for my Top 20 of 2013 (Zoya is really hitting it out of the park!). I love the unique finish this has, and it's nothing like I've seen before. I am so impressed! It looks gorgeous! It's definitely going on my wishlist :) I agree, there are a lot of gold polishes out there but this one is unique! I love this. I really hate that Zoya is so awesome, haha! This is such a unique take on a gold topper, I really think I might have to pick this up! Me too! They make so much great stuff! It looks almost copper in your pictures! Great combo! Beautifully Disney 2,500 Reader Giveaway!